Maricarmen is a doctoral candidate in the Department of Sociology at the University of Texas at Austin. Her research interests are in the area of environmental inequality, social movements, political sociology and extractive economies. She is currently working on an environmental justice research project with a focus on collective action and community organizing using ethnographic methods in the coastal city of Esmeraldas, Ecuador. Maricarmen has spent a total of 6 months conducting ethnographic fieldwork in Esmeraldas as part of an NSF-funded project on the social production of environmental risk perceptions in Latin America, and will again return for an additional year of fieldwork in 2017-2018. Her dissertation project is an ethnographic exploration of organizing strategies and daily life in a highly toxic informal settlement located next to the largest refinery in the country. 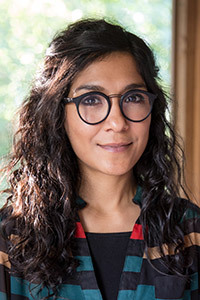 Maricarmen is a fellow at UT’s Urban Ethnography Lab and the Rapoport Center for human Rights and Justice. She is a 2017 Fulbright Scholar and has served as student coordinator for the working group Power, History and Society.